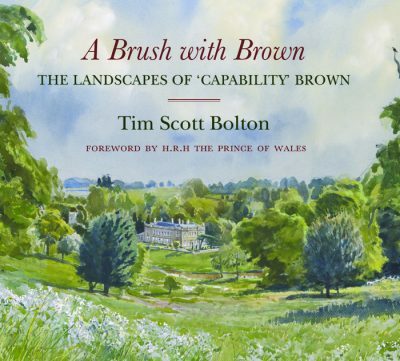 Tim Scott Bolton was born in 1947 in Shropshire. After studying land agency he worked in Yorkshire and then Kenya. In due course his lifelong obsession with painting became a reality and from 1984 he has been a landscape artist. He studied briefly at the Heatherley School of Art and also under Ruskin Spear at the Hammersmith School of Art. He works largely from life, sometimes in distant lands, in the tradition of Roberts and Lear. His subject matter is catholic and ranges from crowded Indian markets to lofty snowcapped mountains, deserts and Scottish rivers, as well as the many country houses he has painted over the last 40 years. He has undertaken many commissions and finds it interesting to create a picture that is both pleasing to the client and to himself.He lives in Wiltshire on an organic farm and, with his wife, Tricia, he started the Summerleaze Gallery, where they have run courses, lectures and exhibitions for the last 20 years.